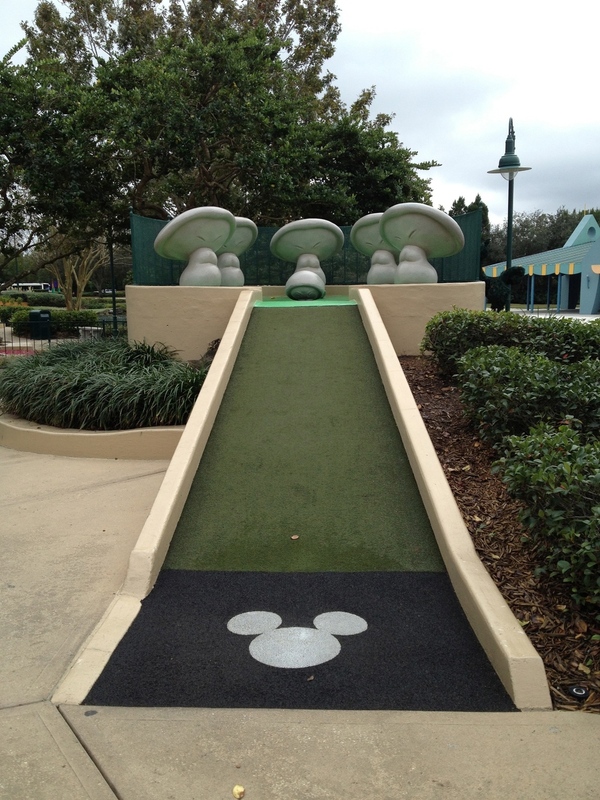 For many people, Miniature Golf is a vacation tradition and Fantasia Gardens and Winter Summerland - Walt Disney World's two mini golf courses - are ready to take your friendly (or not so friendly) competition to a new level. A round of putt putt golf is $14+tax (ages 10 and older) and $12+tax (ages 3 – 9). Keep your receipt because a second round is half price on the same day as the first. Disney Vacation Club (DVC) members and Annual Passholders should ask about discounts. Disney's Magic Your Way vacation packages include a discount voucher that allows one person to play one free round at either of the WDW miniature golf courses. You must present the voucher to receive the discount. Only one voucher is included per package reservation. Don't forget that you get a lot of great planning help and Free Custom Touring Plans when you book your Disney vacation through Build A Better Mouse Trip. LAKE BUENA VISTA , Fla. -- Hippos dance, fountains leap and broomsticks march at Disney's Fantasia Gardens Miniature Golf in the Epcot resort area of Walt Disney World Resort. The 36-hole adventure features Fantasia Gardens, an 18-hole miniature golf course with a theme taken from Disney's classic animated film "Fantasia," and Fantasia Fairways, an 18-hole "challenge" course designed with strategically placed bunkers and hazards. Dancing fountains and animated statues guide guests around Fantasia Gardens ' cleverly themed hazards based on five sequences from "Fantasia." Duffers and veterans alike will find surprises around every sculpted corner as they challenge holes honoring "Toccata & Fugue," where good shots are rewarded with musical tones; "The Nutcracker Suite," where quirky obstacles include dancing mushrooms; "The Pastoral Symphony," where guests encounter a 40-foot-tall Mount Olympus complete with waterfalls; "The Dance of the Hours'," where good timing and accuracy are needed to pass "Fantasia's" famous alligator and Hippo pas de deux ; and "The Sorcerer's Apprentice," starring Mickey Mouse, his troop of out-of-control broomsticks and dazzling water effects. Fantasia Fairways is an innovative putting course designed to emphasize skill rather than chance. Dressed in a beautiful floral setting complementing Fantasia Gardens , Fantasia Fairways challenges the most adept golfers with exaggerated contours, menacing water hazards and diabolical sand traps. The layout combines par-three and par-four holes ranging in length from 40 to 75 feet long. An elaborately themed Starter Shack, housing a snack bar and arcade, gives way to the golf courses' tranquil garden setting crowned with undulating hills, ornate topiaries, brilliant waterways and radiant flower beds. Both courses are open 10 a.m.-11 p.m. seven days a week. Fantasia Gardens also offers group events and birthday party packages. Call 407/WDW-PLAY for more information. LAKE BUENA VISTA , Fla. -- Santa and his elves have joined Walt Disney Imagineering to create Disney's Winter Summerland, a 36-hole miniature golf course located near the entrance to Disney's Blizzard Beach water park. The wacky, elf-sized golf course is divided into two 18-hole experiences. One course carries the zany, snow-clad Florida look reminiscent of Blizzard Beach , while the other takes a more tropical, holiday theme, with ornaments hanging from palm trees. 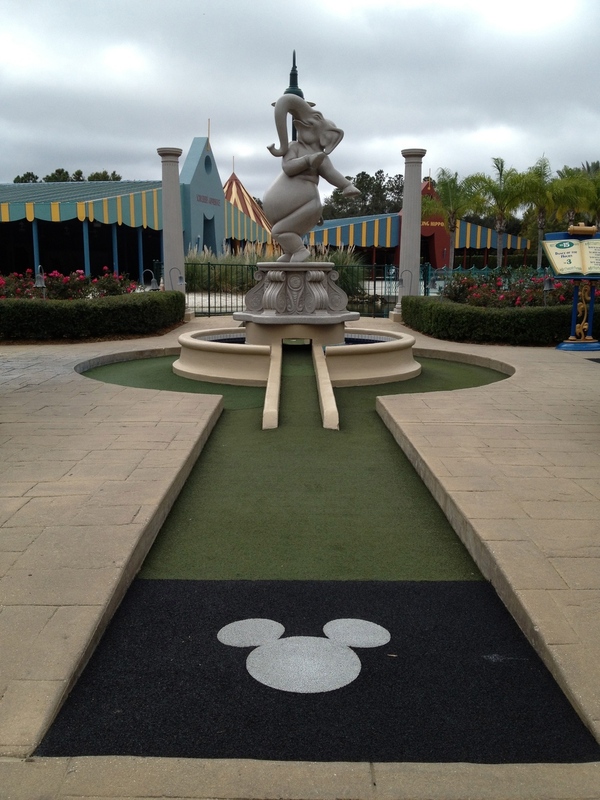 Like all Disney attractions, this miniature golf course has a story behind it. Late one moonlit Christmas Eve, as Santa was flying over Florida on his way back to the North Pole, he glanced down and could not believe what he saw. Santa found snow in a place that is usually hot. After surveying the strange location, he decided to build a vacation destination for his off-duty elves -- a Winter Summerland. The only thing Winter Summerland lacked was a golf course. So the elves divided into two camps, one that enjoyed the warm Florida sun and another that preferred the snow and cold of the North Pole. In this Winter Summerland, the elves built two distinctly different 18-hole golf experiences -- a summer course and a winter course. Both courses at Winter Summerland are loaded with interactive elements that will entertain and engage golfers of all ages. On the winter course, Squirty the Snowman sprays water on unsuspecting guests when their golf balls pass beneath him. On the summer course, guests putt over a slumbering Santa buried underneath a tremendous sand mound. Although the elves were split into different camps, they agreed that the last couple of holes should converge within an old log campground lodge. Guests will need pinpoint accuracy to tap the ball between two model trains that circle below a fully decorated pine tree. Upon sinking their last putt on hole 18, guests journey through cyberspace via the WinterNet as a computer downloads a special greeting from Santa. Winter Summerland also features Santa's "Winterbago," a converted travel trailer that houses the starter booth, and small snack and gift shops. For a great photo opportunity guests can sit behind the reigns of Santa's sleigh or gather in front of the "surfing" Santa statue, an elf-made tribute to jolly old St. Nick. Winter Summerland is the second themed miniature golf course at Walt Disney World Resort. Fantasia Gardens, Disney's first miniature golf experience, is located along Buena Vista Drive adjacent to Disney's BoardWalk resort. Winter Summerland is open 10 a.m.-11 p.m. daily. Winter Summerland also offers group events and birthday party packages. Call 407/WDW-BDAY for more information.